Early Music Society of the Islands (EMSI) embarks on another Northwest Baroque Masterworks project in collaboration with the Pacific Baroque Orchestra (PBO), the Seattle Baroque Orchestra, Portland Baroque Orchestra, and Early Music Vancouver to present Mozart and Le Mozart Noir at the Alix Goolden Hall, Victoria Conservatory of Music on Sunday, February 5, 2017 at 3pm. 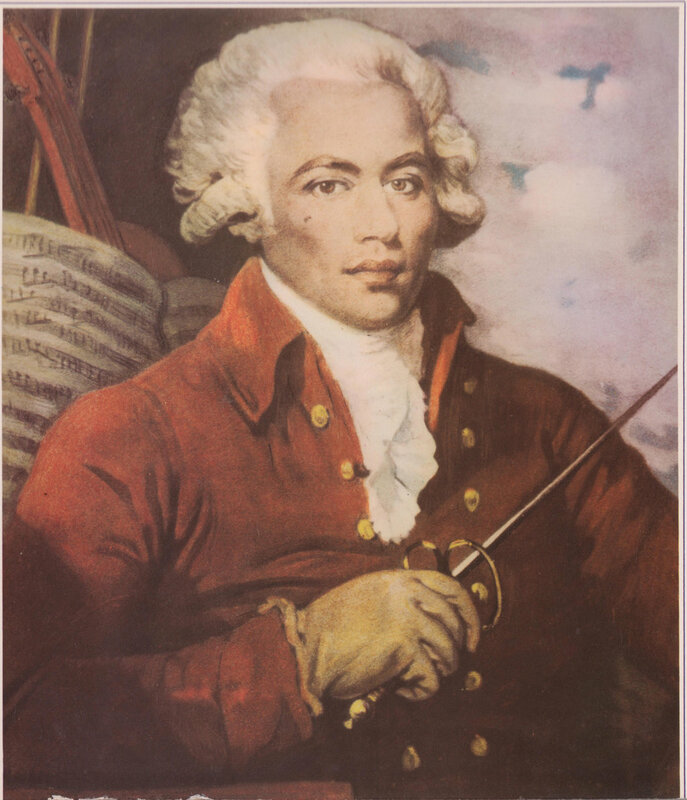 One of the greatest composers of the early classical period, Joseph Boulogne, Chevalier de Saint-Georges was the son of a slave and one of the earliest musicians of the European classical tradition to have African ancestry. Boulogne overcame adversities of class, race, and prejudice to become a major musical star all over Europe, inspiring both Mozart and Haydn. This programme includes several of Boulogne’s violin concertos, orchestral works by Mozart, and one of Haydn’s Paris Symphonies.